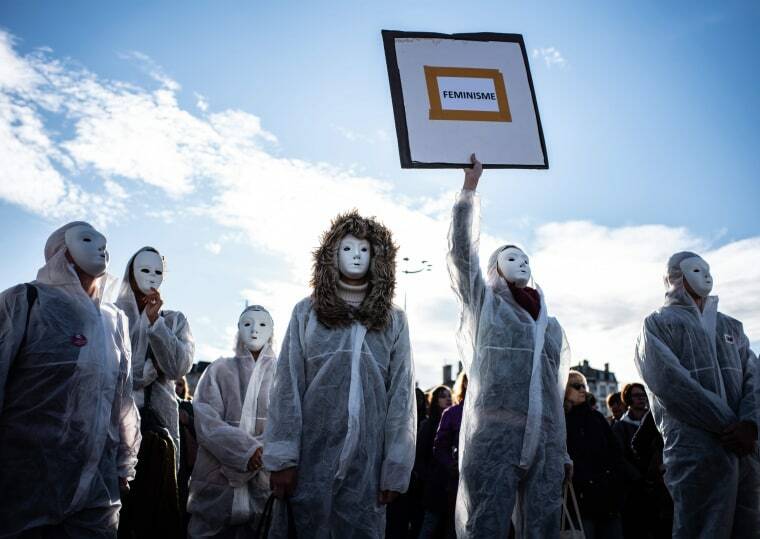 Tens of thousands of protesters in cities across Europe, the Middle East and Latin America marked Sunday's U.N. International Day for the Elimination of Violence Against Women. 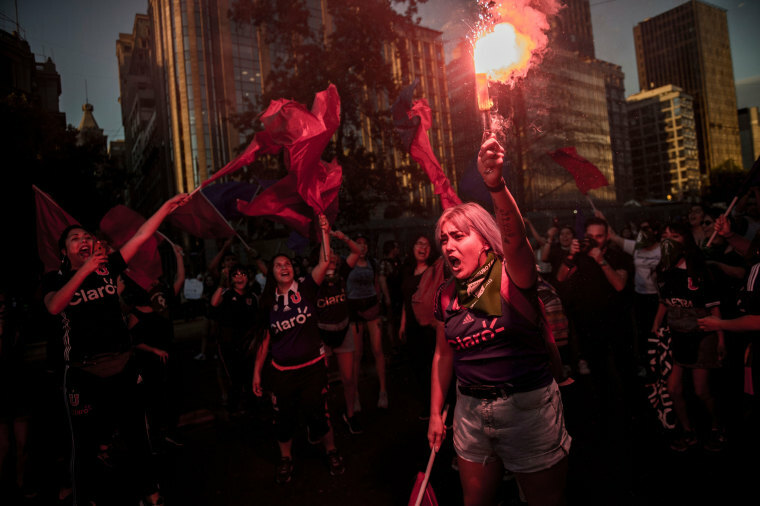 Women chant phrases and wave signs on Istiklal Avenue during a demonstration marking International Day for the Elimination of Violence Against Women on Nov. 25, 2018. 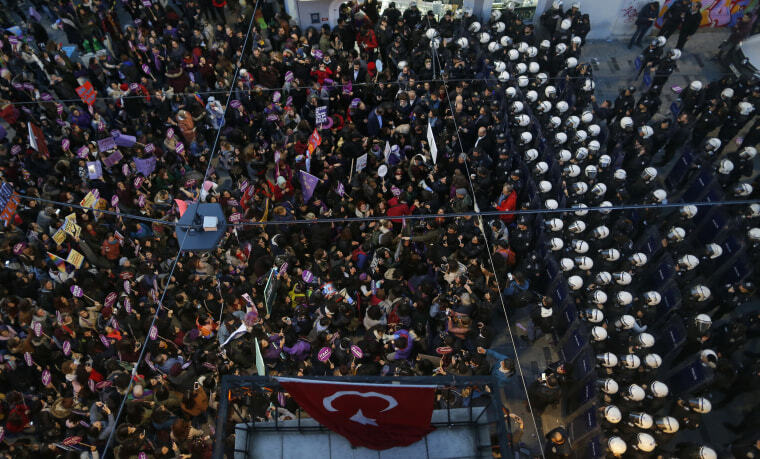 Turkish police officers in riot gear block protesters during the rally. 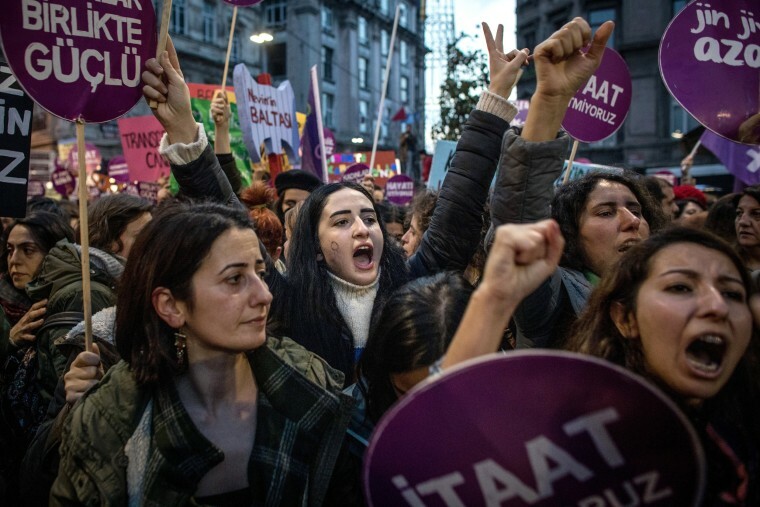 Rights groups say violence against women is widespread in Turkey and an online database called the Monument Counter says at least 337 women were killed by domestic violence in 2018. 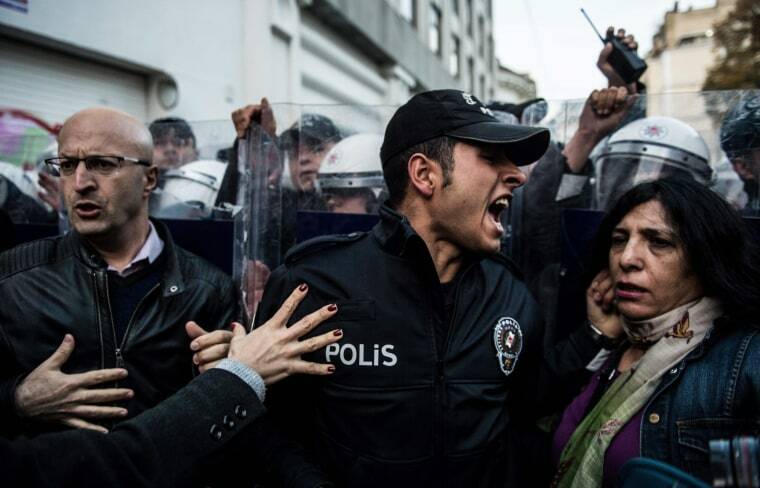 A Turkish riot police officer reacts during clashes with women's rights activists who gathered for the march. 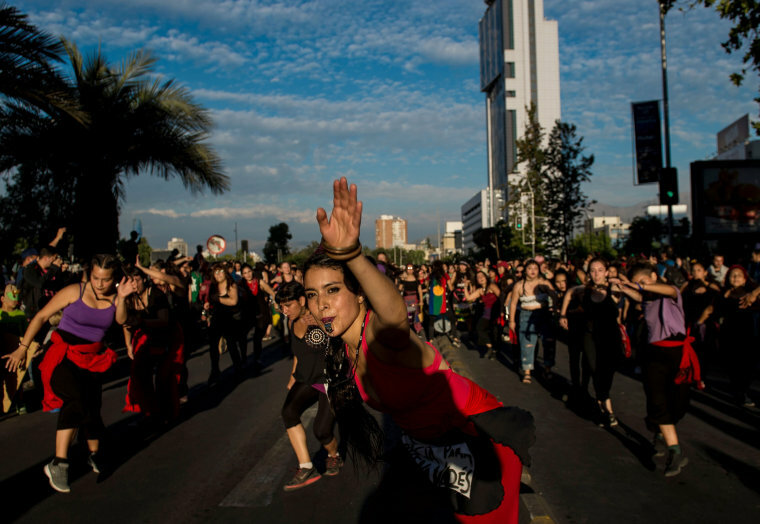 Activists march ahead of the U.N.'s International Day for the Elimination of Violence Against Women, on Nov. 22. A woman holds up a pair of underwear during a march on Nov. 24. 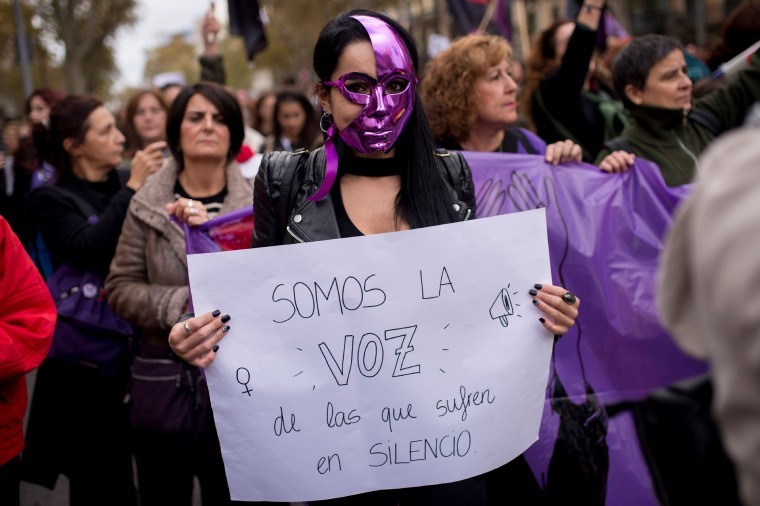 A woman holds a sign that reads, "We are the voice of those who suffer in silence" during a demonstration in Barcelona on Nov. 25. 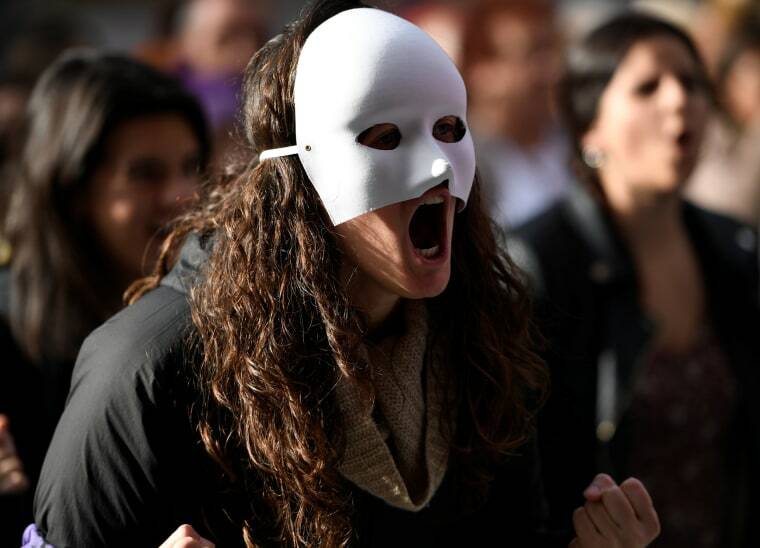 Tens of thousands of protesters, many wearing purple, marched through Spanish cities on Sunday to mark the International Day for the Elimination of Violence Against Women. 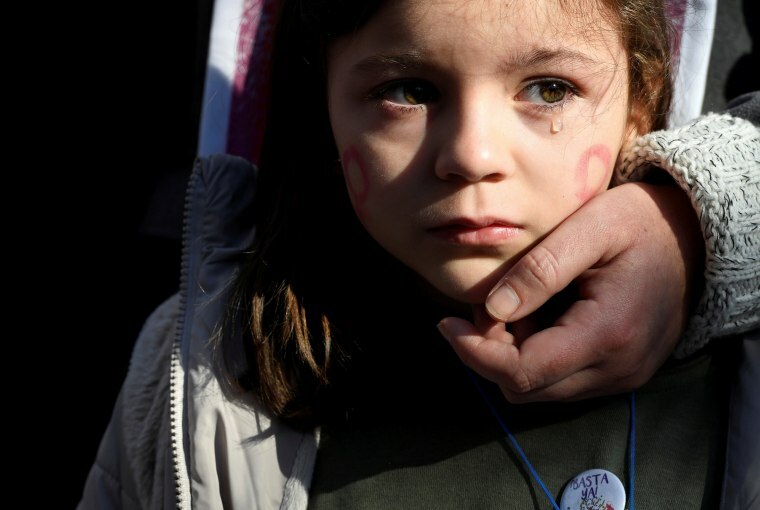 A girl cries during a rally on Nov. 25. A protester dressed in white carries a sign during a demonstration on Nov. 24. Protesters chanted slogans and carried signs reading "For Those Who Aren’t With Us" and "Justice." 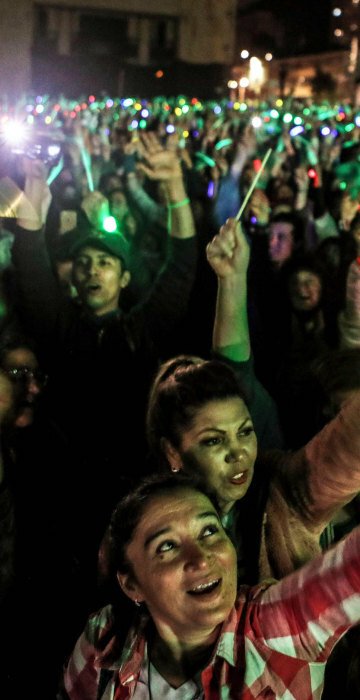 Women participate in a march ahead of the commemoration of International Day for the Elimination of Violence Against Women on Nov. 22. 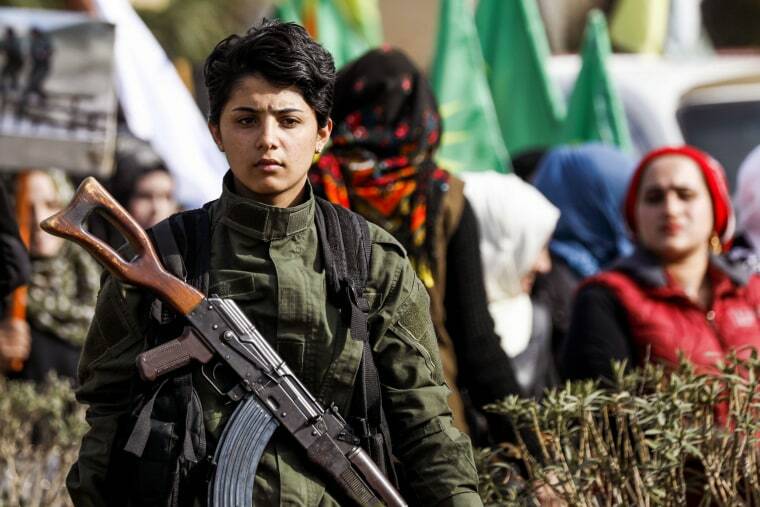 A Syrian Kurdish fighter holds a Kalashnikov assault rifle while others march on Nov. 25. 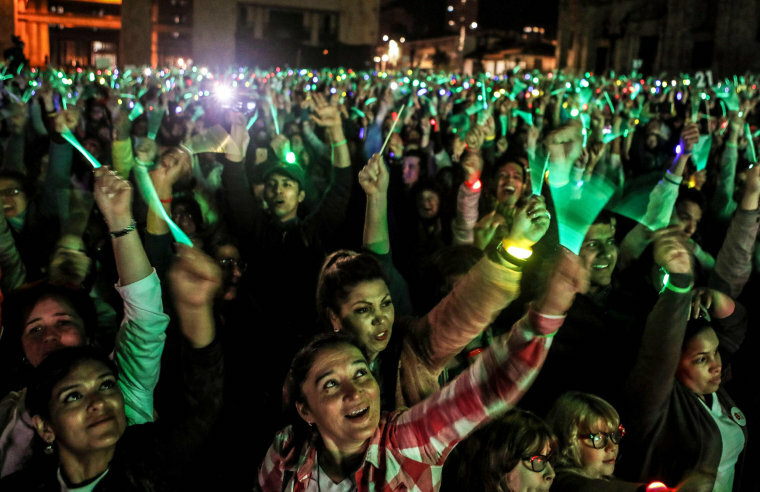 People hold glow sticks during a demonstration on Nov. 24. 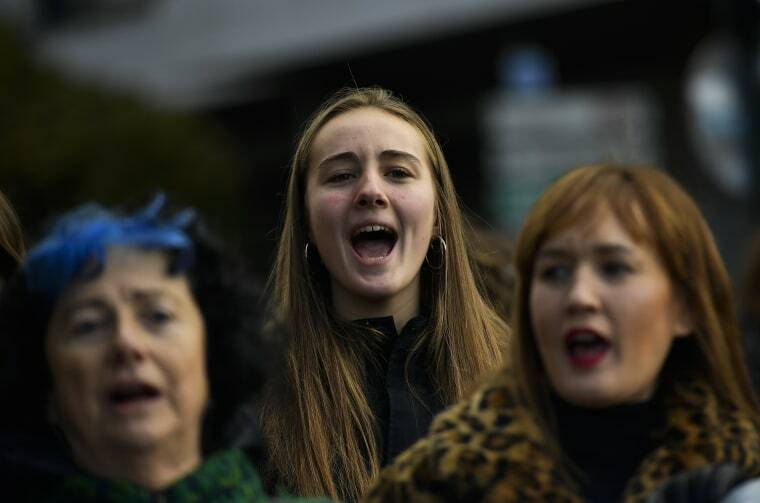 Women shout during a demonstration on Nov. 25. 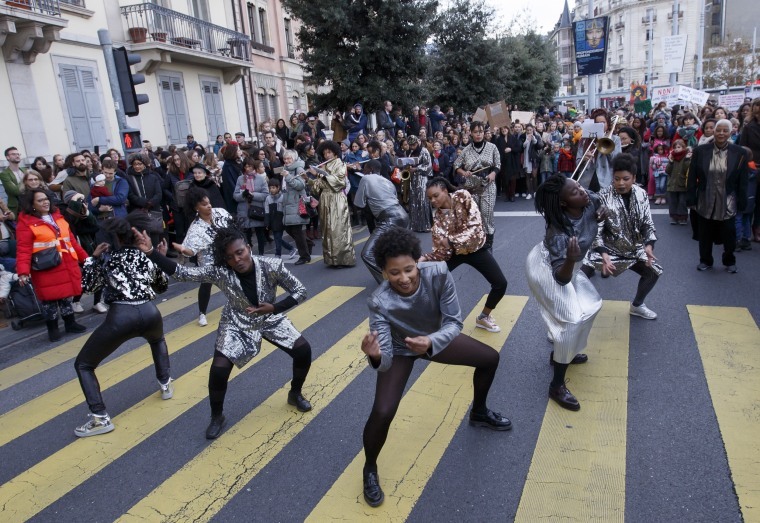 The group "30 nuances des noir-es" (which means "30 shades of black") performs during a demonstration on Nov. 24. 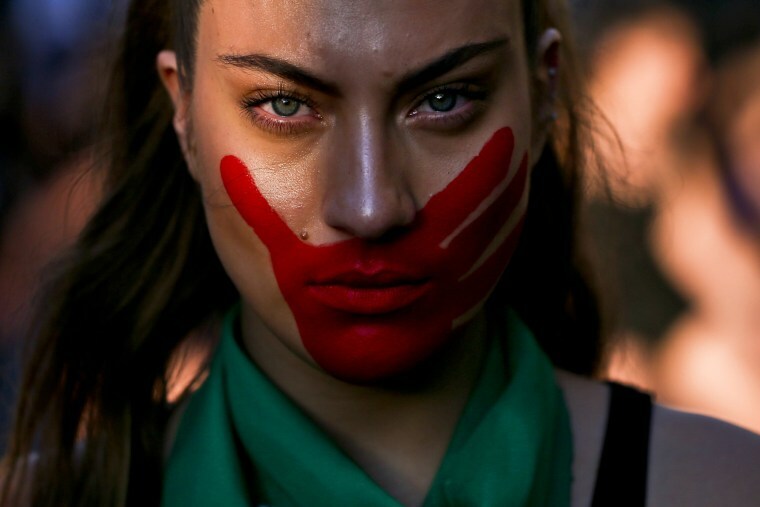 A woman with her face painted takes part in a march on Nov. 22. 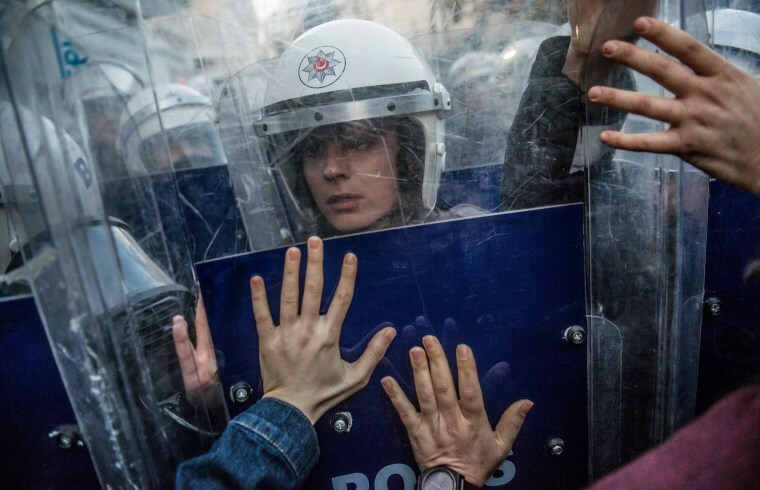 A Turkish riot police officer reacts during clashes with women's rights activists on Nov. 25. 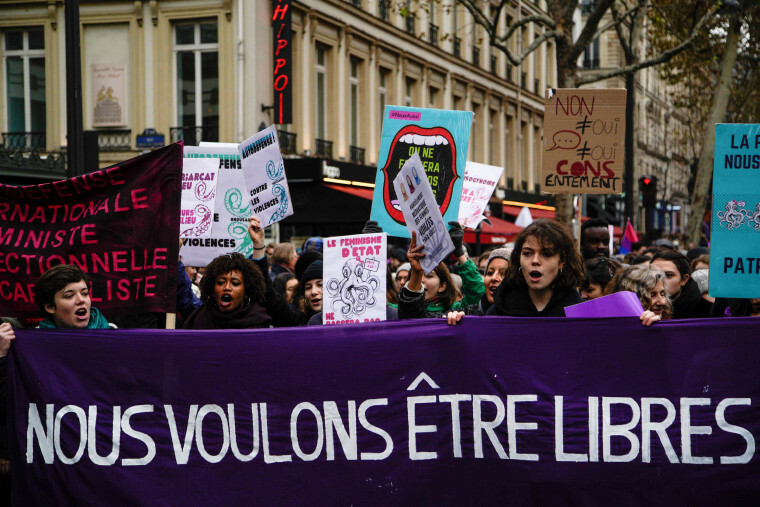 Participants walk with a banner that reads, "We want to be free," on Nov. 24. 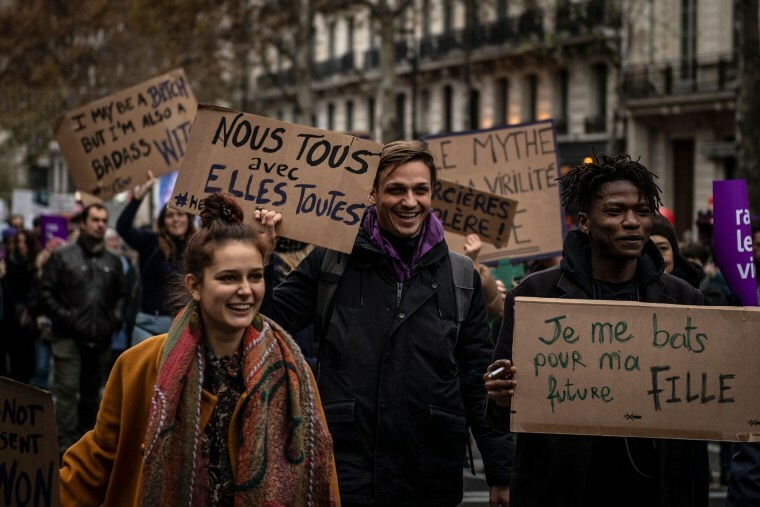 Men hold signs that read, "All of us with all them," and "I'm fighting for my future daughter," on Nov. 24.